The Lincoln Children's Museum invites children to create, discover, and learn through the power of play. 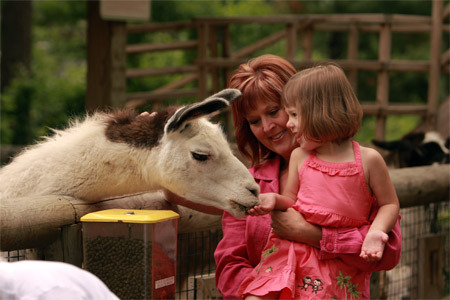 For almost 50 years, the Lincoln Children's Zoo has provided children with the opportunity to learn firsthand about the Zoo's many special animals. Lincoln Kids! is a quarterly children and family newspaper. The UNL Dairy Store has provided experience and jobs for students in Food Science and related majors since 1917. Tours of their ice cream and cheese-making operation are given Monday-Friday, subject to availability. Lincoln Youth Symphony membership is available to students in grades 9-12 in the City of Lincoln and is by audition only. The Junior Youth Orchestra is for children in grades 6-9 and the Youth Ensemble for Strings (YES) is for children in grades 5-8. Both the YMCA and Lincoln Parks & Recreation offer youth sports and activities.